Scores of ambulances have been called out to people who have collapsed on Steep Hill in Lincoln. In a Freedom of Information request made by BBC Radio Lincolnshire it was revealed that 29 ambulances were dispatched to incidents on the street last year. Ambulances are often called out to help people who have fallen, fainted, are unconscious or experiencing breathing difficulties. 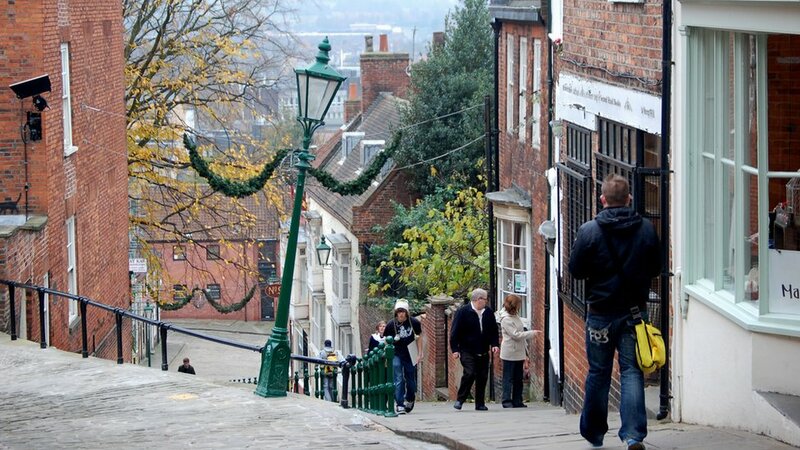 Andy Hill, from East Midlands Ambulance Service, told BBC Radio Lincolnshire they are urging anyone who is attempting to climb Steep Hill should take care and take their time. The number of investigations into suspected school admission frauds has nearly trebled in the past three years with almost 700 offers of places withdrawn after cheating parents were caught out. A Schools Week investigation shows that the number of admission investigations launched by local education authorities soared from 470 in 2012-13 to 1,257 last year. Offers of places to 696 pupils were withdrawn, with some councils pulling youngsters out of school after they had started. Dozens of London families have been re-homed in Surrey. A total of 38 households have been re-homed in Spelthorne, including 25 from Hounslow and 10 from Ealing. The figures were analysed by Trinity Mirror’s Data Journalism Unit after being supplied via the Freedom of Information Act in August. Councils in Surrey are also housing their homeless people outside of their local areas. More than 1,000 students sought counselling support at the University of Surrey last year according to figures released under the Freedom of Information act. The figures show an increase from 2013-14, when 964 students requested help, to 1,049 in the academic year 2014-15. Other universities in Surrey show a similar pattern of increasing demand for support services, with Royal Holloway seeing a 0.5% increase from 776 students seeking help in 2013-14 to 780 in 2014-15, and 31% higher than 596 students in 2010/11. THE number of domestic abuse victims in Surrey is rising, according to recently published figures. Statistics obtained from a Freedom of Information request show the number of female victims reported to Surrey Police increased from 3,687 in 2013 to 4,178 last year, a rise of 491. The number of reported male victims also increased, with 1,379 recorded in 2014 compared to 1,085 in 2013. And of those reported last year, only about 16 per cent of cases resulted in a charge or summons. The jail housing many of Scotland’s worst offenders has topped a list of investigations into illegal use of Facebook behind bars. Prison officers at Shotts have launched 80 investigations into convicts logging on to Facebook in the past five years. The figures were revealed through a Freedom of Information (FOI) request to the Scottish Prison Service (SPS). Documents provided revealed that in the past five calendar years staff across the SPS have undertaken a total of 437 investigations into Facebook accounts being used behind bars. Hundreds of police officers are injured in the line of duty in Lancashire every year. Frontline police have been punched, kicked and spat on scores of times in the last three years, shocking new figures show. While the figures, released under the Freedom of Information Act, include hundreds of relatively minor incidents, it also lists a series of career-threatening injuries and assaults. Officers around the county have suffered broken bones, come into contact with contaminated blood and got glass in their eye. Dyfed-Powys Police has been criticised along with three other UK police forces for failing to recruit enough black police officers. Home Secretary Theresa May quoted data suggesting Dyfed-Powys, North Yorkshire, Cheshire, and Durham, did not have any black police officers. Information supplied by Dyfed-Powys Police following a Freedom of Information request last year showed that of 1,041 police officers, four were mixed race, none were black, three were Asian /Asian British and two were Chinese /‘other’. In terms of proportion of the workforce Cheshire had the lowest proportion of ethnic minority officers at 0.6%, or 12 of its 1,962-strong workforce. The number of renters made homeless due to private tenancy agreements ending has quadrupled in the past five years, statistics have shown . Figures by Croydon council have revealed that 525 people became homeless within the last year after the end of their private rented tenancy. This is a significant increase, in comparison to 119 people who became homeless between October 2010 to September 2011. Tom Chance, the Green Party’s housing spokesperson, obtained the figures from the council after making a Freedom of Information Request (FOI). It is now a year since the tax disc was scrapped – but motorists are still struggling to adjust to the new electronic system, figures suggest. The number of vehicles being clamped or impounded jumped from about 5,500 a month under the old system to more than 8,000 a month. Figures released under the Freedom of Information Act in September revealed the number of vehicles clamped or impounded went up from 5,806 in October 2014, when tax discs were scrapped, to more than 8,000 every month from January to August. Previous postA Powerpoint slide to knock the ‘old v new’ journalism argument down for good? I hope so.